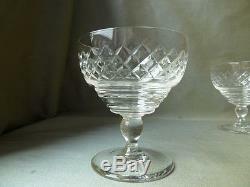 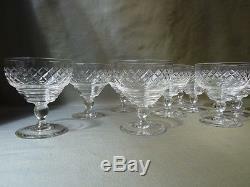 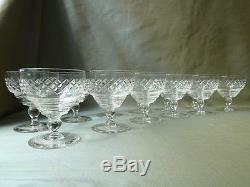 12 vintage champagne or wine glasses, the glasses are not signed, no labels, no original box. 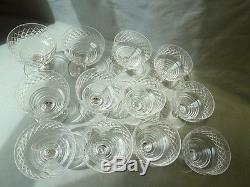 Hey are made by Kosta Boda, KOS4 design. 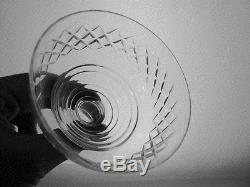 The glasses are wheel etched crystal, baluster foot and consecutive roundels like on Stuart glasses of Art Deco era, probably made 1960-70's, but so Art Deco design. 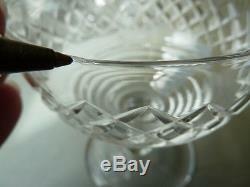 Please browse the pictures for design. 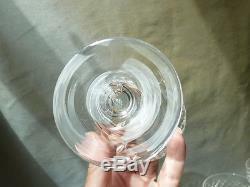 Measures: diameter of the rim 8,3cm, under 6,7cm, hight 9,8cm. 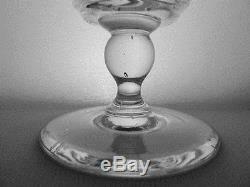 All the glasses are in very good condition: one glass has a small dent on the rim (not damage, a manufacturing flaw, a dent), see the lat picture. 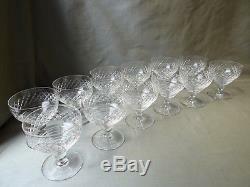 The item "12 vintage crystal champagne/wine glasses, not signed Kosta Boda KOS 4 cut" is in sale since Friday, June 23, 2017. 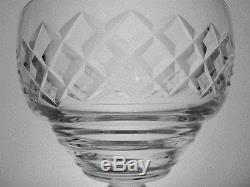 This item is in the category "Pottery, Porcelain & Glass\Glass\Date-Lined Glass\Art Deco (c. The seller is "kribunsky" and is located in Liverpool.